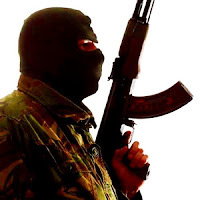 Nonverbal World - All about Nonverbal Communication: Are you a 'flying' terrorist? 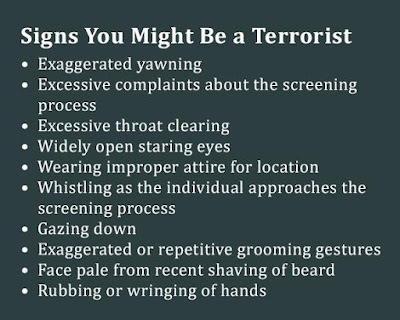 Are you a 'flying' terrorist? Flaying in sky was indeed one of the greatest dreams of our remote ancestors. Why it shouldn’t be? It presents us so many opportunities in a single flight and it was only ability to fly that saved a small group of reptiles. They eventually evolved into birds that we see today or it would be more appropriate to say that they their turned their crawling bodies into perfect flying machines to conquer skies. Birds inspired us to make airplanes and aviation revolutionized and accelerated transportation, science, technology, industry, trade, economics, education, communication and international relationships. However, civil aviation eventually posed serious challenges, threats and nightmares too. None of us could dream or imagine oneself being into a situation in which a small group of lunatics or extremists has took control of airplane and threatened to blow it in sky or crash it into an important installation. Terrorists and hijackers have found their way into peaceful commuter planes only to make whole world pay serious and immediate attention at their outrageous demands. They have done serious damage to global peace and mostly innocent passengers have been put to death by them. 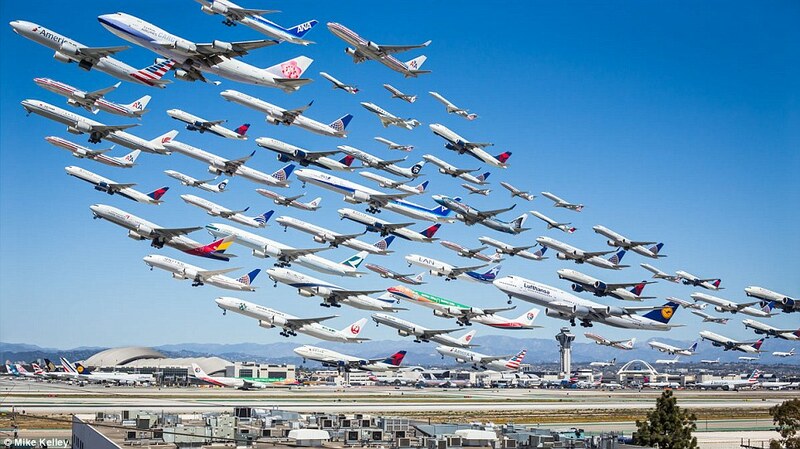 Airlines are really under serious threat. We all need to remain cautious and vigilant. After recent major incidents, both security and passenger screening has been made stringent throughout the world. There no surprise to see a large and penetrating network of cameras and body scanners setup along with vigilant and armed security personals on international airports which comb through passengers. 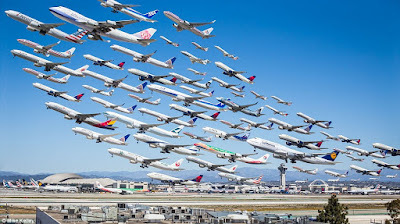 Developed country in west like America or England takes or handles potential threats to civil aviation more seriously because considerable portion of population travels by air regularly in those countries. To err is human so it’s also no surprise that mistakes happen while scrutinizing passengers. We must know that our body unconsciously, involuntarily and continuously gives away clues beyond and without words to outer world i. e. different kind of signals and clues originated from or related to different emotional, cognitive and physical states. As most of us traditionally assume or are regularly told about, there are certain body language clues or hotspots that can help us in spotting and catching (potential) liars, perpetrators, offenders and conspirators. Some experts who (think they) are or became more confident over time have came forward to catch terrorists with their ‘established’ techniques. 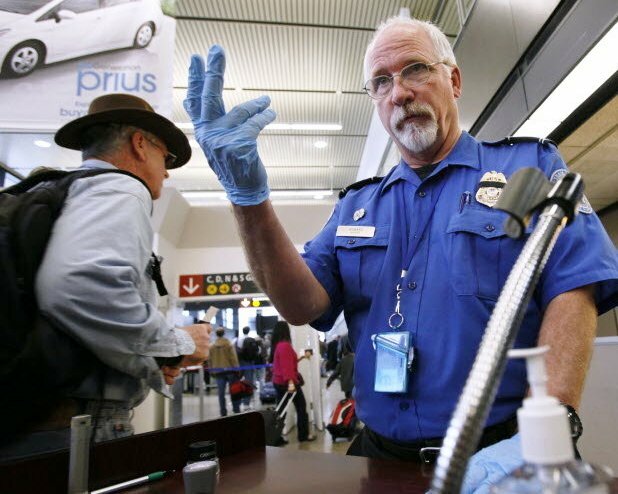 Airport security in America has come up with an integrated framework that helps in short listing potential terrorists moving along with other innocent and naive passengers. However, there are major flaws in same because the system hardly considers contexts behind and cluster of signals being given away by people under scrutiny. 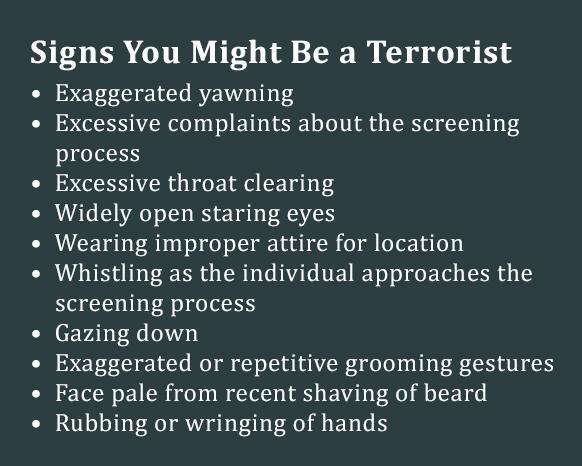 What if an innocent airliner passenger is arrested by security personals based upon the check list they fill in while observing its so-called ‘suspicious body language’? Exactly this is what happening by most. The heavily funded Screening of Passengers by Observation Techniques (SPOT) program has been facing criticism and allegations from both passengers and experts alike since its inception. The list of body language signals against which a trained Behavior Detection Officer (BDO) needs to look for matching inputs given away by passengers is immature or flawed. Most of ‘suspicious’ signals selected by SPOT implementers are what an ordinary and innocent person would give away unconsciously in front of officers. What officers need to thoroughly observe and quickly understand is the context in which a particular movement or expression is made by a person under observation. Considering the amount of passengers, it's really very hard to achieve. Even if we assume that these signals are the true indicators of person having unsocial or harmful intentions towards others, situation in which the person is giving them away is very important. Passengers who are traveling at very first time to any international destination might give them away due to nervousness and fear about flying at first place. In addition with same, body scanners, personal scrutiny and terrifying security personal giving a suspicious look at could easily add to anybody’s unrest or anger. On the other hand, the sequences in which different suspicious clues are given away also need to be testified thoroughly. One passenger’s nonverbal interaction with other passenger needs to pay close attention at. Signals like exaggerated yawning, rubbing or wringing of hands, gazing down, excessive throat clearing, widely open staring eyes, exaggerated or repetitive grooming gestures or whistling might definitely catch attention of anybody but how much observing officers are systematically trained and also keenly interested to check background behind them is critical. Other experts in behavior detection have given a very valuable and critical suggestion against existing and not-so-successful SPOT program. They say that suspects should be thoroughly questioned and their nonverbal clues should be observed inside a closed room than just catching them based on the score in a form or SPOT Referral Report hand filled by behavioral observer.